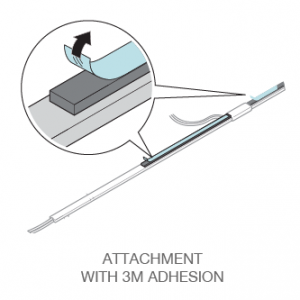 Mecano™ light bars are thin, lightweight and come with 3M adhesion for easy installation. 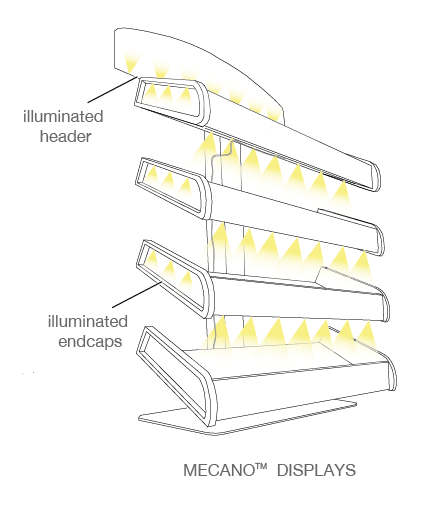 In contrast to ST and XD, Mecano™ light bars provide additional light on the sides as well as the front of the display. 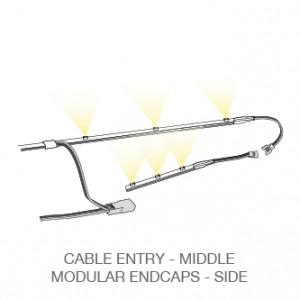 They receive power through the center of the light bar and are equipped with end cap attachments. Our Y-System Mecano™ light bars are a specific solution for Mecano™ POS display units from Kesseböhmer for Wrigley. These retail displays are popular at the checkout area of grocery stores, petrol stations and convenience stores. 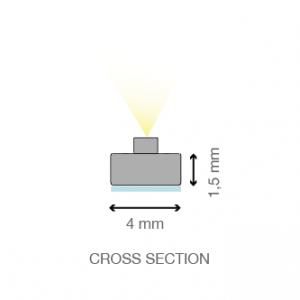 Mecano™ LED light bars receive power through the center to illuminate the front of the POS display, while modular end cap attachments provide light on the sides. 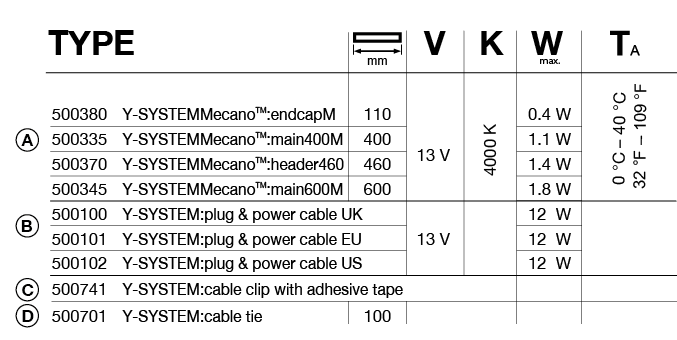 Mecano™ LED light bars come in two sizes: 400mm and 600mm with 110mm end caps. 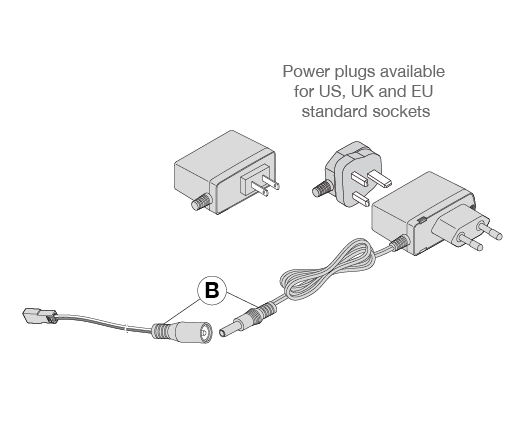 Thanks to their flexible design, they can easily be fitted to EU, UK and US standard power plugs. 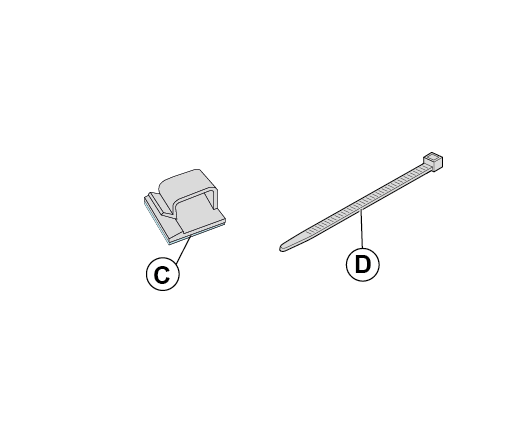 Another plus is the innovative y-shaped-connector used for all our Y-System LED light bars. The "Y-System" makes it easy to attach multiple bars together without additional power distribution units. Power simply flows from one light bar to the next.